I ran into a pile of Brazilian 78s at a house-sale in Ravenswood Manor last summer. 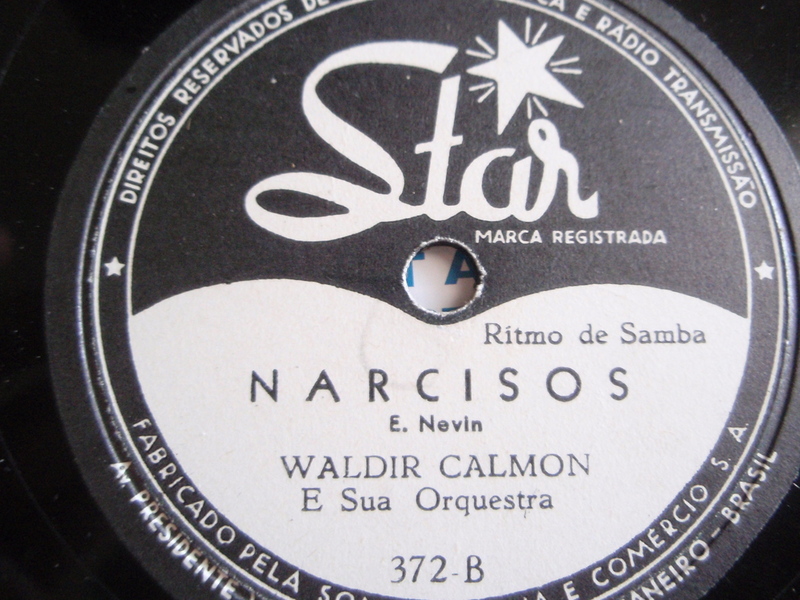 This one is Narcisos, a ritmo de samba side, by Waldir Calmon, on the Star label out of Rio de Janeiro, 1952. He made many recordings in his long career as a musician and innovator. Mr. Calmon (1919-1982) was the first performer in Brazil to use the solovox, a small keyboard instrument that was the forerunner to the synthesizer. His plaintive single note runs were widely imitated by the next generation of Bossa Nova and Samba: and particularly by the iconic Antonio Carlos Jobim. Nerd note: this take is doubly-so great because the shellac is in pristine condition and there is the most minimal of hiss/surface noise.